Formerly this place was Xiluo’s water plant. When the decision of street widening was taken in 2009, the building was nearly demolished, but the mayor Xiao Zewu thought that the project of enlargening the street 30 meters was inappropriate. So to follow the spirit of humanism and to preserve the street, it was reduced just a half. Moreover the great architect Mr An Yumin was asked to refurbish the old building to combine it harmoniously with its surroundings. 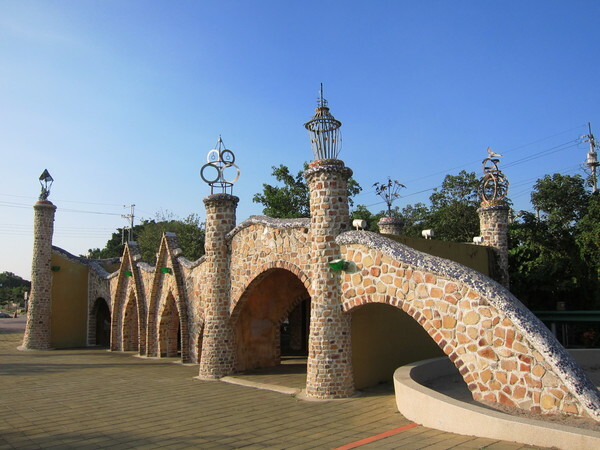 The image of Children's Heart castle was restored taking inspiration from Gaudi’s style. After the vote of Xiluo’s residents, the building was named Tongxin (Children’s Heart) Garden. It was one of the first entertaining public spaces in Xiluo where people could relax and enjoy their free time.